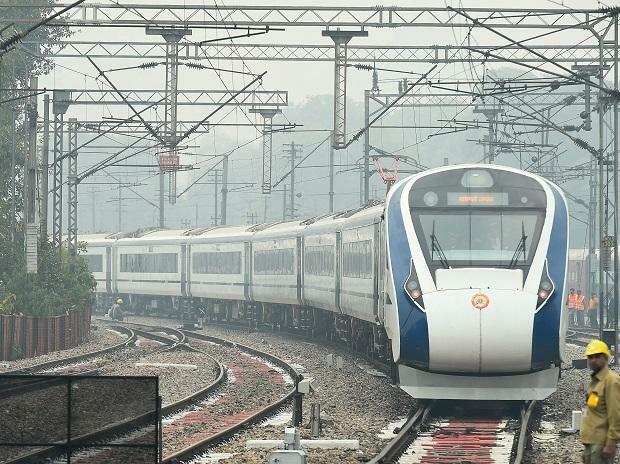 A stone was hurled at the Vande Bharat Express on Wednesday breaking one of its window panes, the third such incident in two months involving India's fastest train, the railways said. The train was crossing Tundla junction when the incident happened, Northern Railway Spokesperson Deepak Kumar said. This was the semi-high speed train's third commercial run after it started operations on February 17. Earlier, during a trial run between Delhi and Agra in December last year, stones were hurled at the train as well. A similar incident occurred earlier that month too. After the first incident of stone throwing, the Railway Protection Force (RPF) had started campaigns across the areas where such cases were reported. Investigation into several incidents of the sort in Delhi established that most of the stone-pelters were young children. Since then, the RPF has distributed toys, sweets, colour pencils and other such things to them to stop them from hurling stones at trains.